Across the state, high schools offer career and technical education to give students a leg up in their fields before graduating. These programs can include skilled trades like welding, shop classes, or even meat processing. 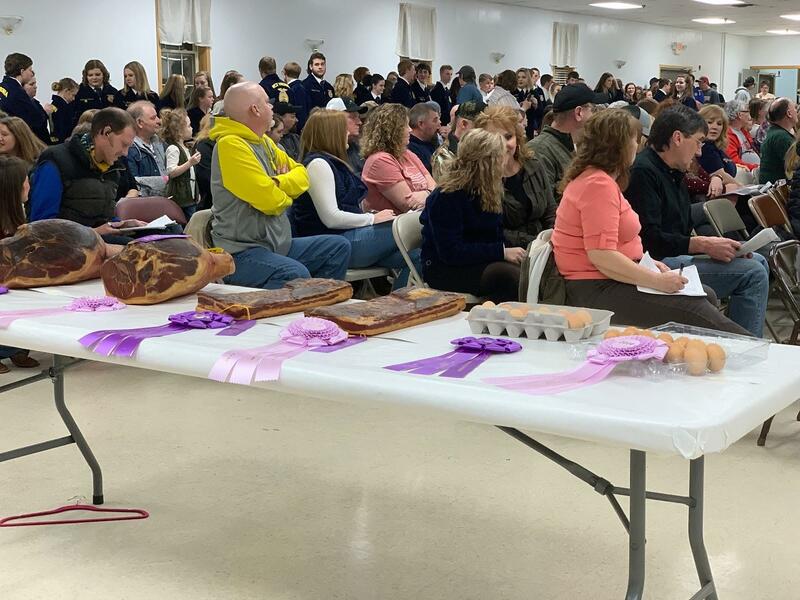 Tucked away in a New Martinsville 4-H Camp, two auctioneers stand on a small indoor stage, denim clad and wearing cowboy hats, securing bids on something a little unusual... ham, bacon, and eggs. Meat sometimes is auctioned off at $25/pound - sometimes more. American Graduate: Building West Virginia's Workforce is now available to watch online. As the Mountain State's skilled workforce ages and manufacturing evolves to use technology, there are job opportunities in West Virginia that require some training or certification, but not a 4-year degree. Join West Virginia Public Broadcasting and Blue Ridge Community and Technical College in Martinsburg as we co-host a FREE panel discussion with regional experts exploring the future of job opportunities in the Eastern Panhandle – and how to get there.